Cabin Campers recommended on national TV! Home > Campervan Rental > Cabin Campers recommended on national TV! We were recommended for traveling in Norway in 2019 on Good Morning Norway TV2! 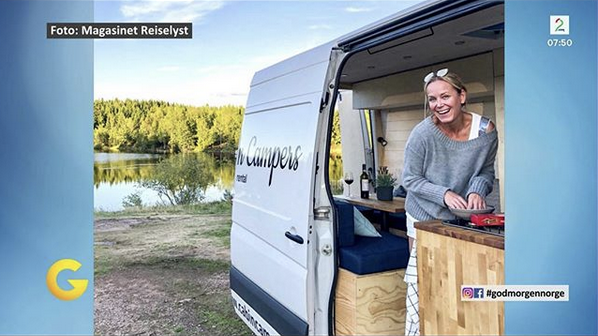 The editor of Norway’s largest travel Magazine, Magasinet Reiselyst, was a visitor on the show, and talked about her worldwide travel recommendations for 2019. After discussing some trends and recommendations for international travel, she brought up a trip with Cabin Campers she had in 2018, and showed a few pictures from it.